NANs are infinite Values introduced by corrupted pixels in textures. They can be time consuming to fix and cause havoc in rendering. 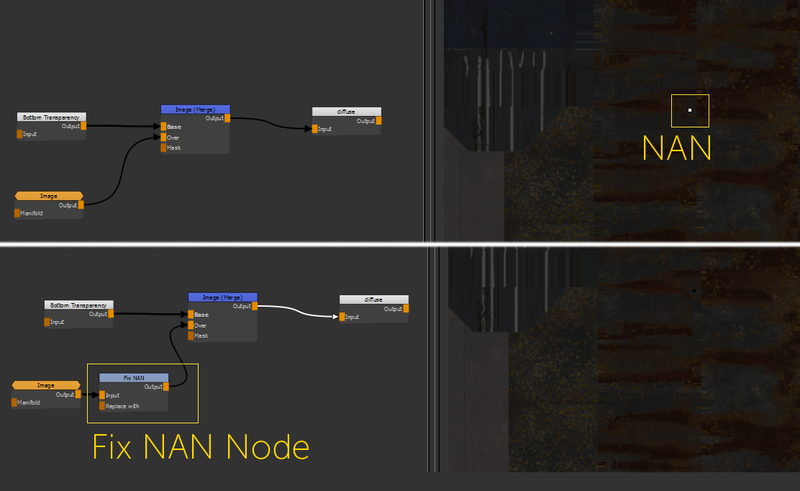 The FIX NAN Node Adjustment needs to be hooked in via the Nodegraph. NANs break any blending mode math therefore the Node will not fix any bad pixels when used in the Layerstack. The Color to replace NANs with.